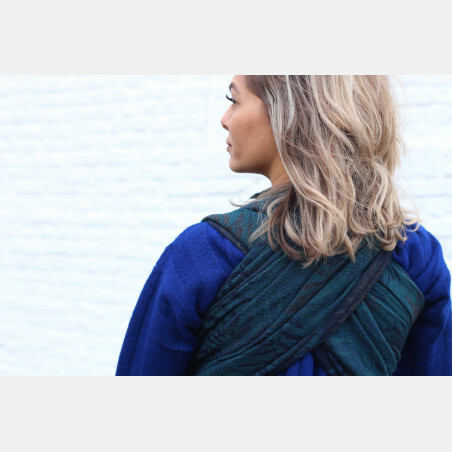 Deep teal, navy and melange dark grey. 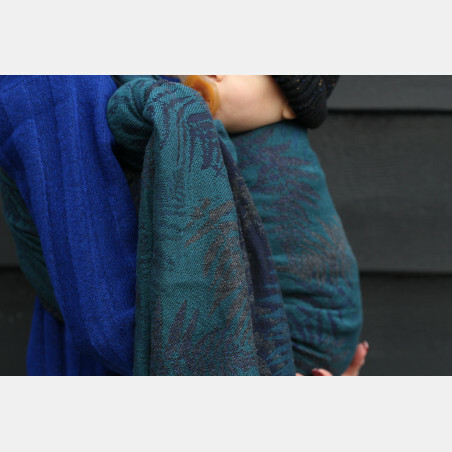 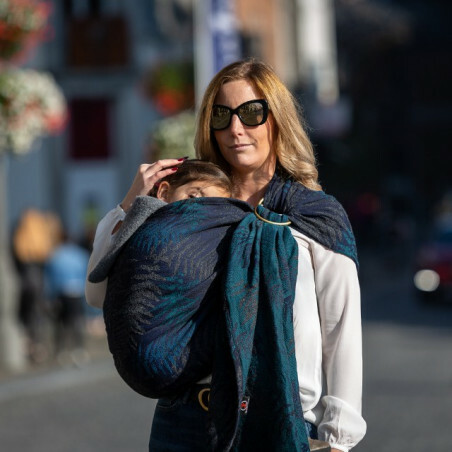 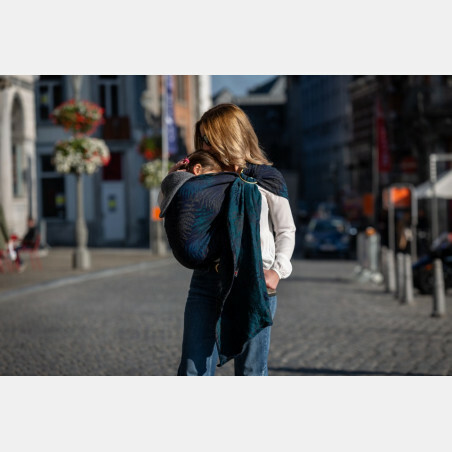 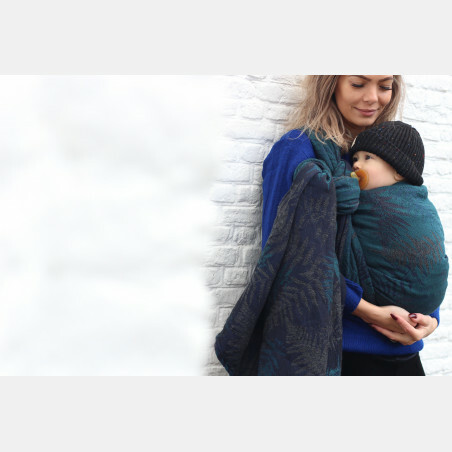 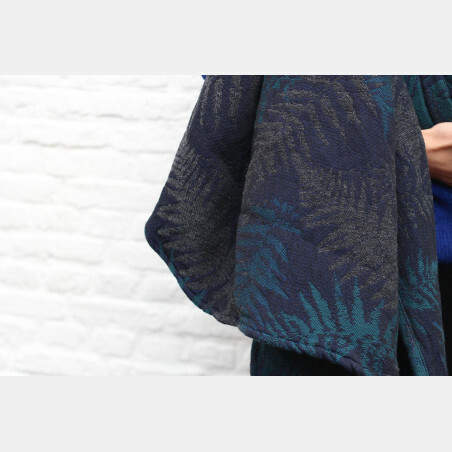 Woven in our signature cloudberry weave, this wrap is a pure woolly winter coziness. 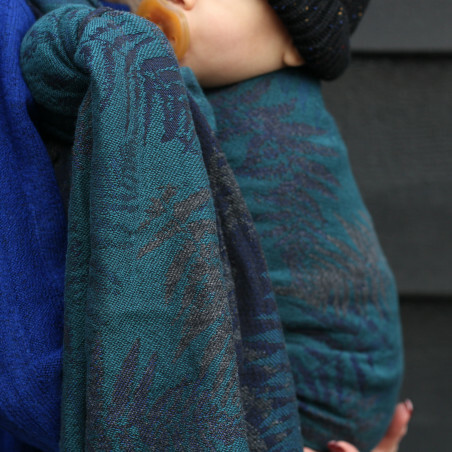 Strong and supportive, suitable for all ages.